An opportunity to learn how to become instantly more beautiful. 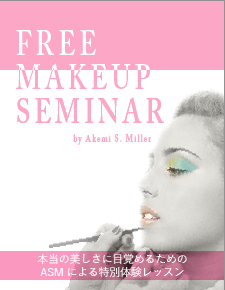 From New York to Japan: the Akemi S. Miller Face Design School is now offering classes offering Japan’s beauties the techniques to perfect bodies and minds to reach a global level of beauty. Spending time to develop your ideal self is a lifelong issue. However, when it comes to beauty, who has time to wait? We want and need immediate results. Instead of vague feelings that something has changed, this program lets you see immediate results. 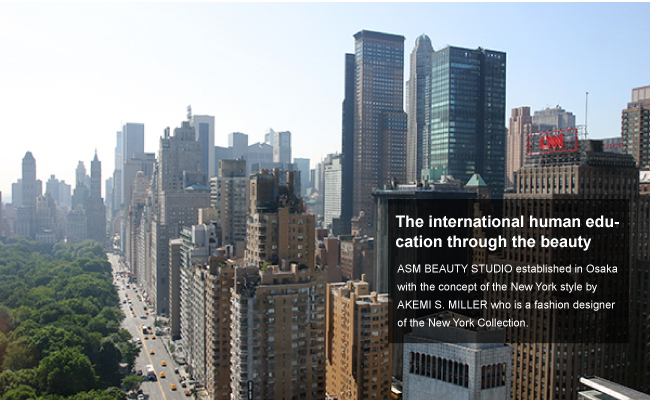 Akemi S. Miller, a fashion designer who exhibited her work at New York Fashion Week is the pioneer of this new makeup concept. It revolves around the idea of “designing yourself.” Ms. Miller’s experience as a fashion designer and a top artist coordinating the total beauty of super models as well as over 10,000 people to date, has allowed her to create a technique that transforms your face into one of beauty, intellect and sensibility. Accurately learning the fundamentals of face design tailored to your face will let you discover a new you. External changes lead to internal growth and strength. You will find yourself rejoicing and enjoying life all the more. ASM Beauty Studio treats makeup as art. Using a proprietary approach to the techniques, knowledge and sensibilities of that art form, we customize training to the level and background of the student. It is our goal that students will graduate ASM Beauty Studio as beauty creators possessed of newfound skills and individuality and debut on the world stage. ASM Beauty Studio supports the beauty interests of people of all types, from people with a constant and professional need for makeup, such as models, actresses, newscasters and dancers, to professional women leading active lifestyles, to refined and elegant ladies amongst others. The high level of technique on offer at ASM Beauty Studio continues to make waves in the industry. Drawing on our preeminence as a private school, we offer a luxury suite of classes with a low teacher to student ratio, providing individualized attention from the instructor. It is this commitment to excellence that allows us to maintain a paramount position in the industry. No matter the time or place, the pursuit of beauty is an eternal issue on the mind of all. Today, makeovers have the power to influence and change society as a whole. Going forward, women will continue to want to look even younger and more beautiful than before. Face design is precisely the technique that caters to this need today. ASM Beauty Studio demonstrates the unlimited potential within everyone.